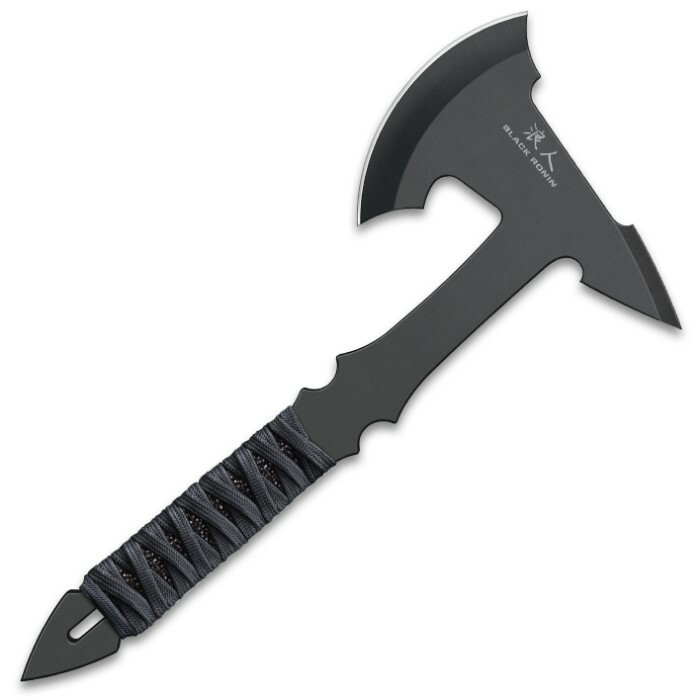 Black Ronin Large Tactical Throwing Axe With Sheath - 3Cr13 Stainless Steel Construction, Black Coating, Cord-Wrapped Handle | BUDK.com - Knives & Swords At The Lowest Prices! 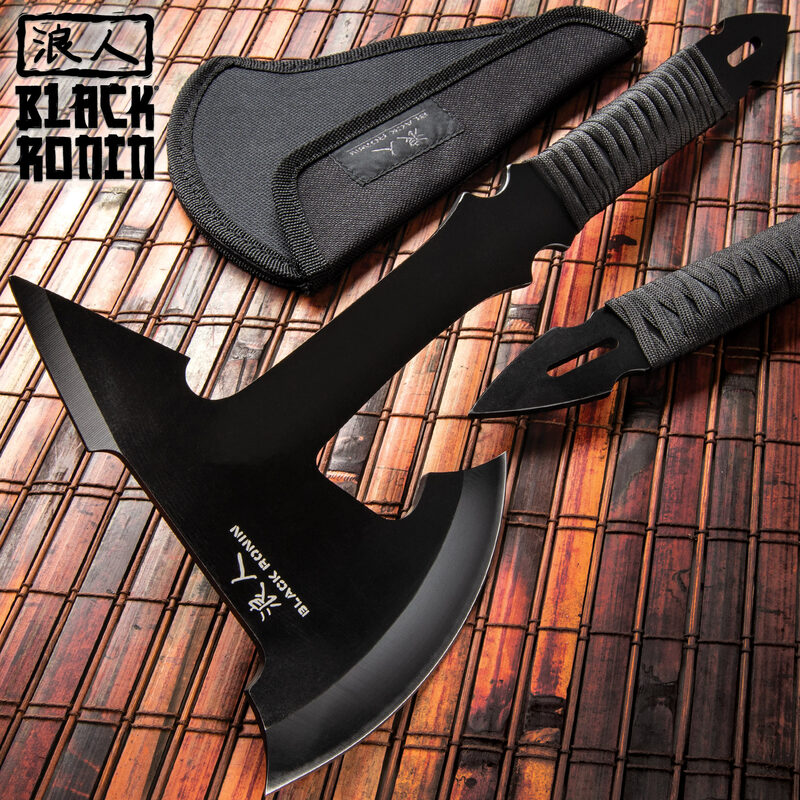 The Black Ronin Large Tactical Throwing Axe is a beast crafted from one, solid piece of black coated 3Cr13 stainless steel so that it will get the job done! 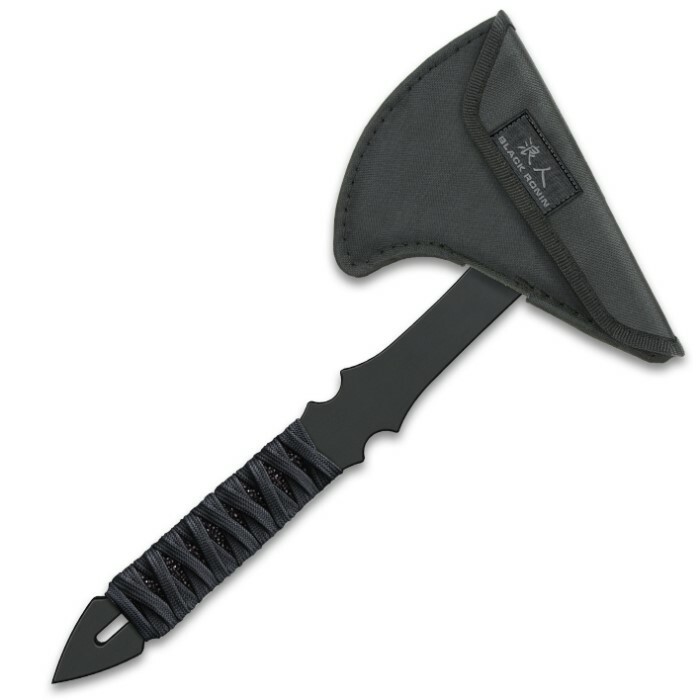 The axe head has a 4 15/16” sharp blade on one side and a sharp piercing point on the opposite side. The nylon cord wrapped handle comes down to a sharp point that gives the throwing axe an all and all menacing appearance. 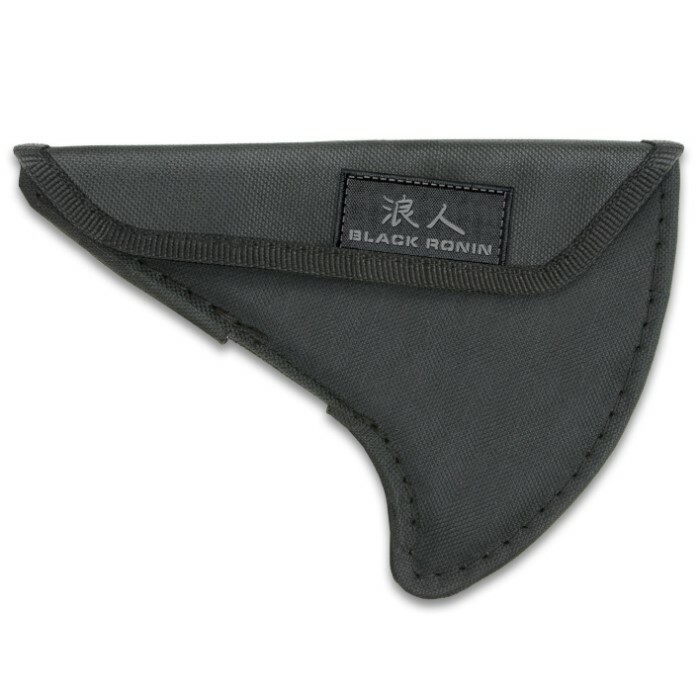 A tough 1,000 Denier nylon belt sheath with a strong Velcro closure protects the axe head.